Where does Apple get its money? 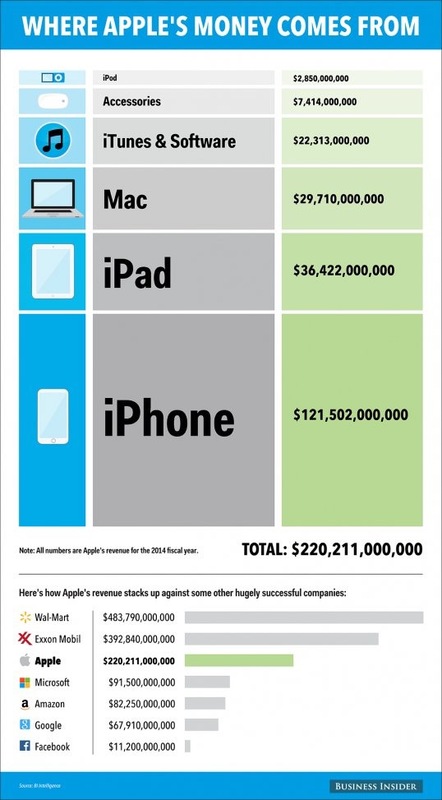 Where does Apple’s money come from? Where is it most profitable? Unsurprisingly, iPhones. But the company also gets some money from Macs and iPads and other products.